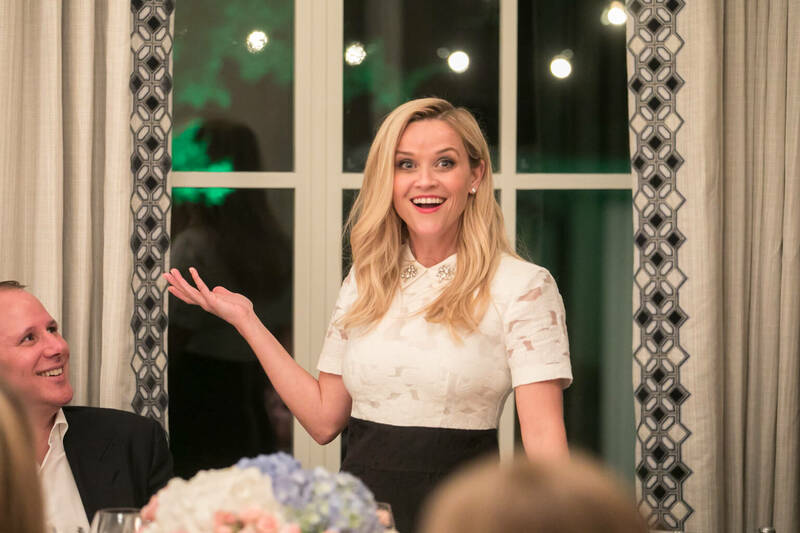 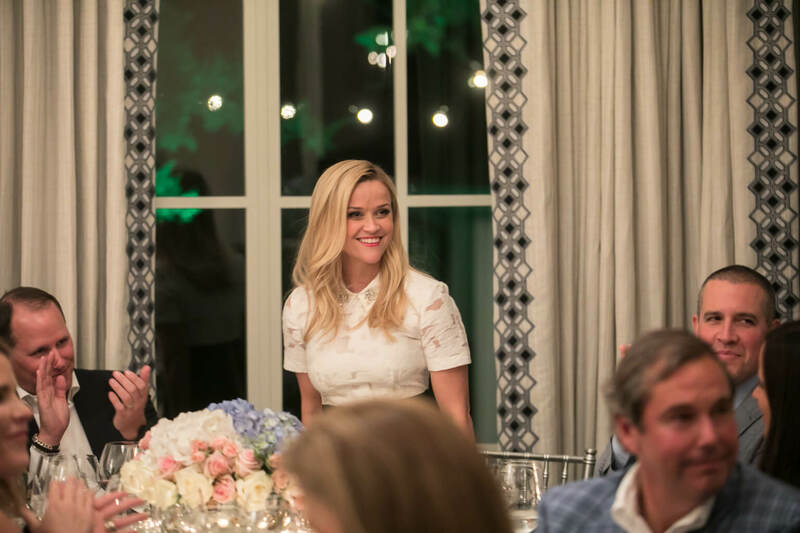 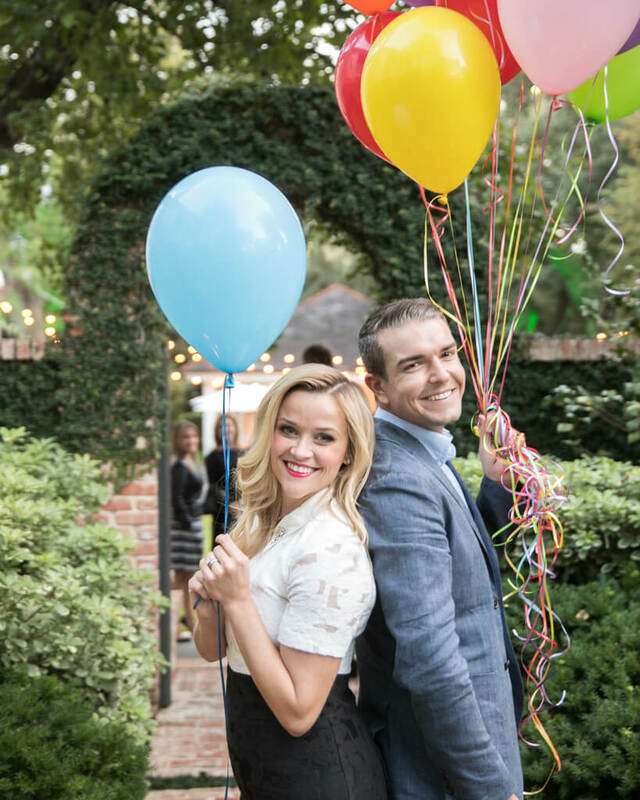 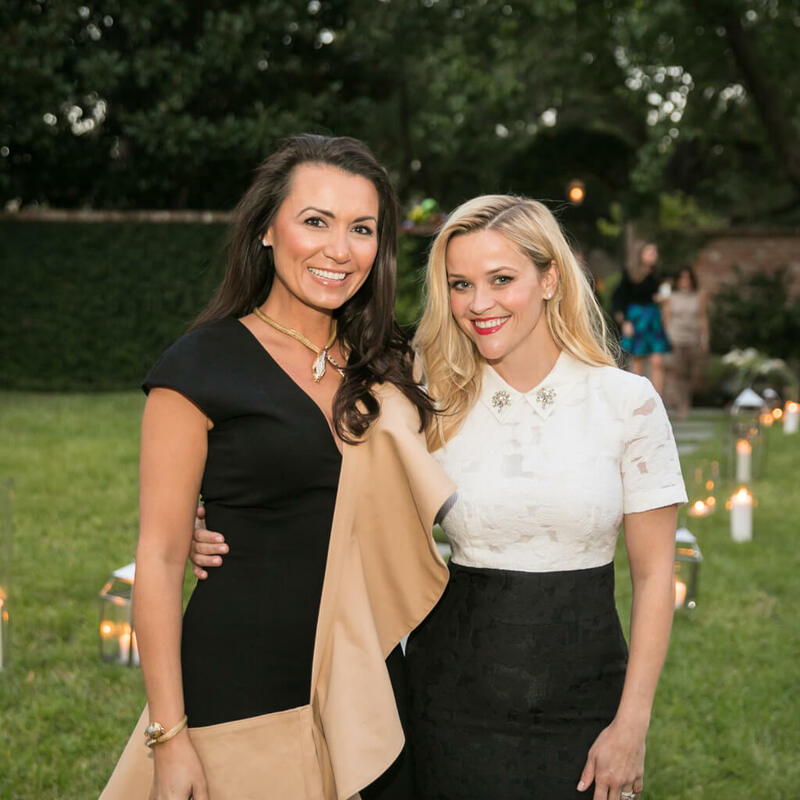 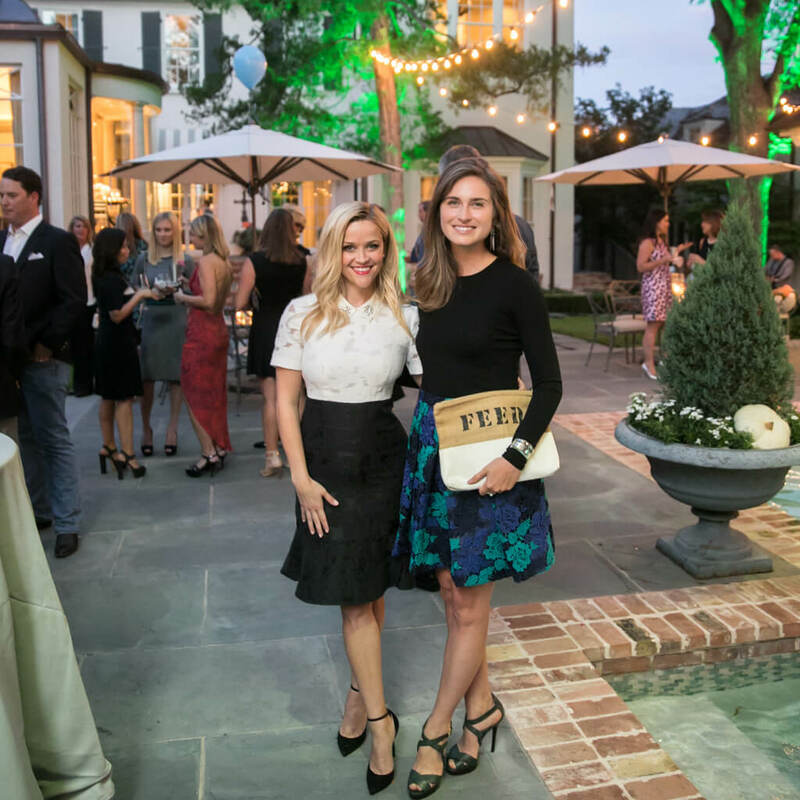 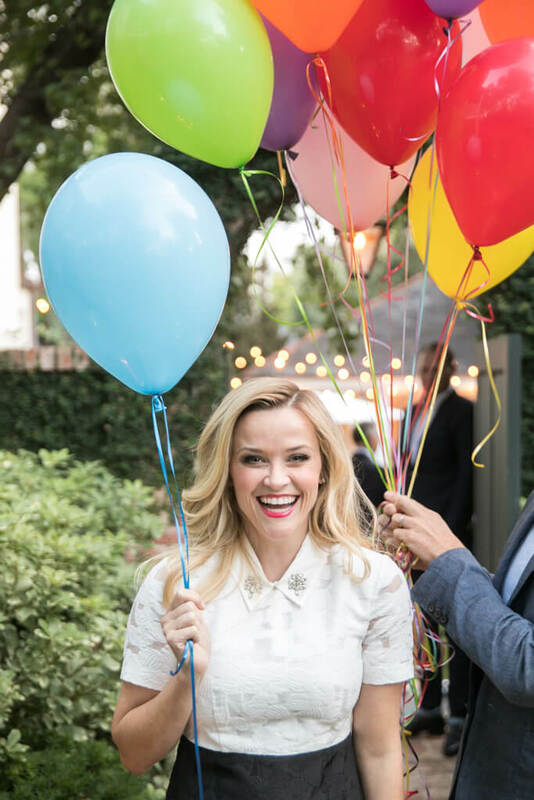 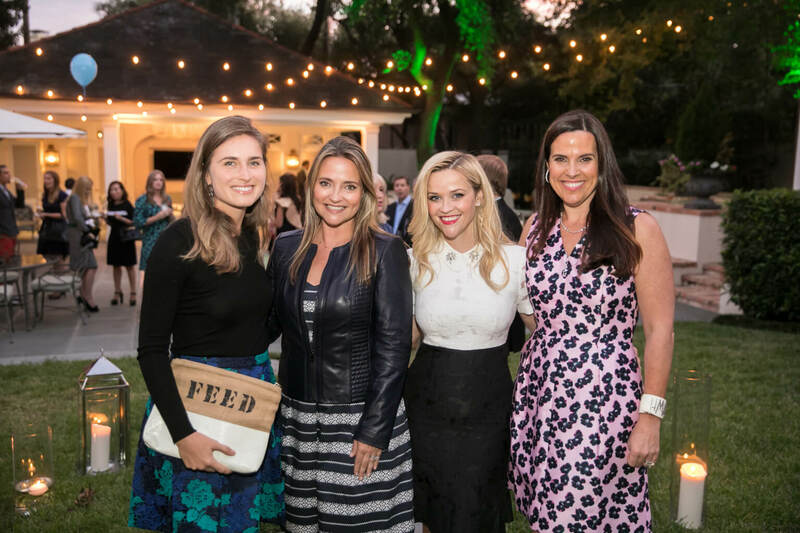 In a beautiful fall day in Dallas, actress and Draper James owner Reese Witherspoon and FEED founder Lauren Bush Lauren partnered to bring the community together to fight hunger. 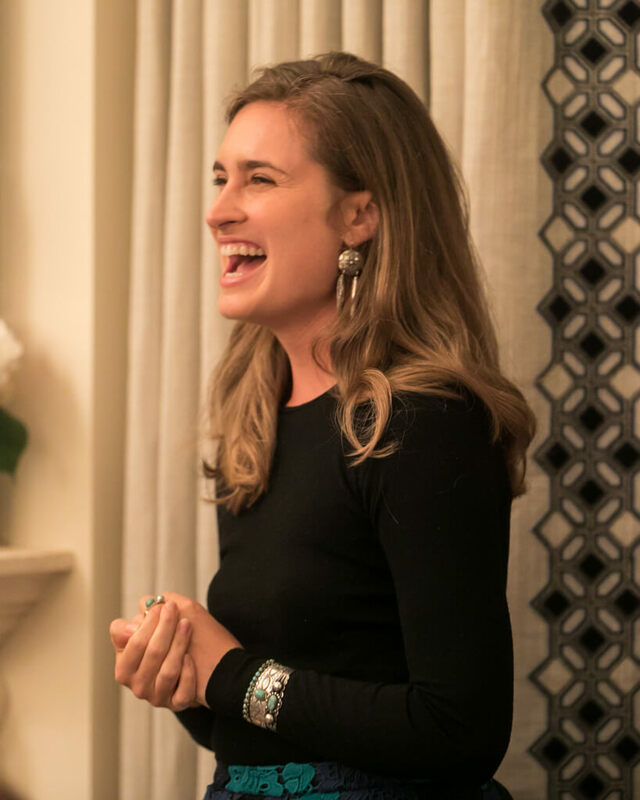 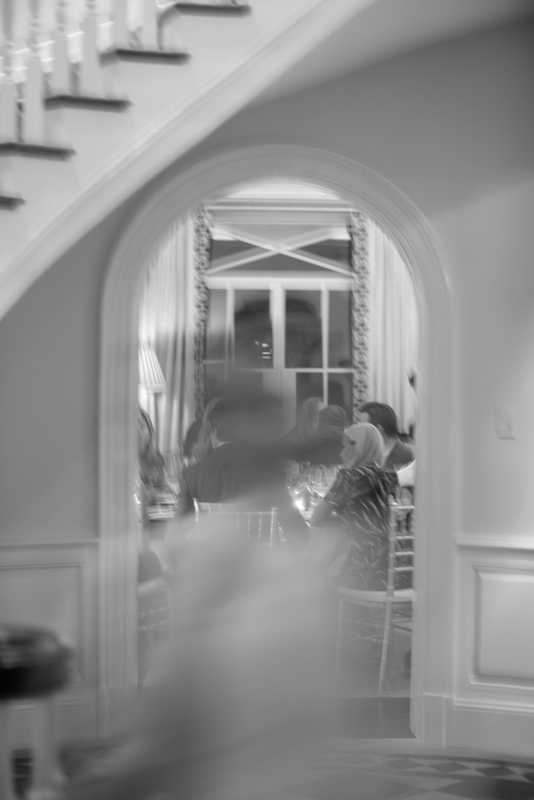 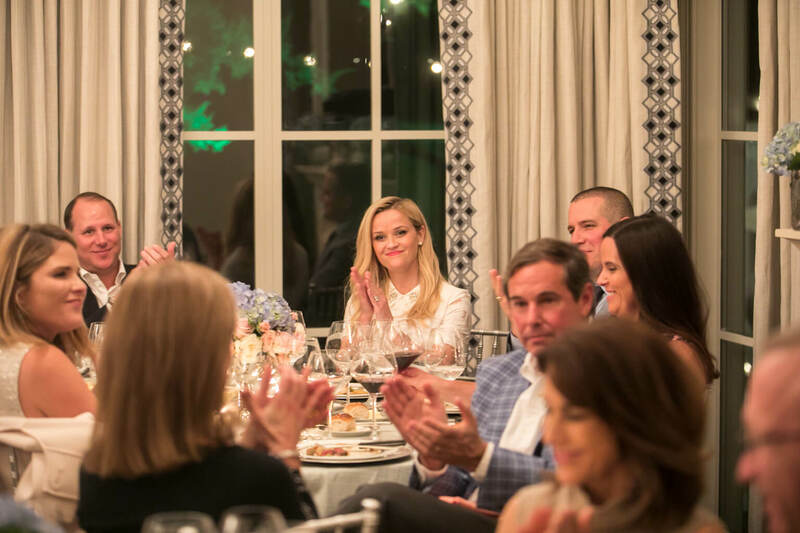 The fundraiser for the FEED philanthropy, which has given over 95 million meals to countries in need, brought friends together at a dinner party hosted at a private home. 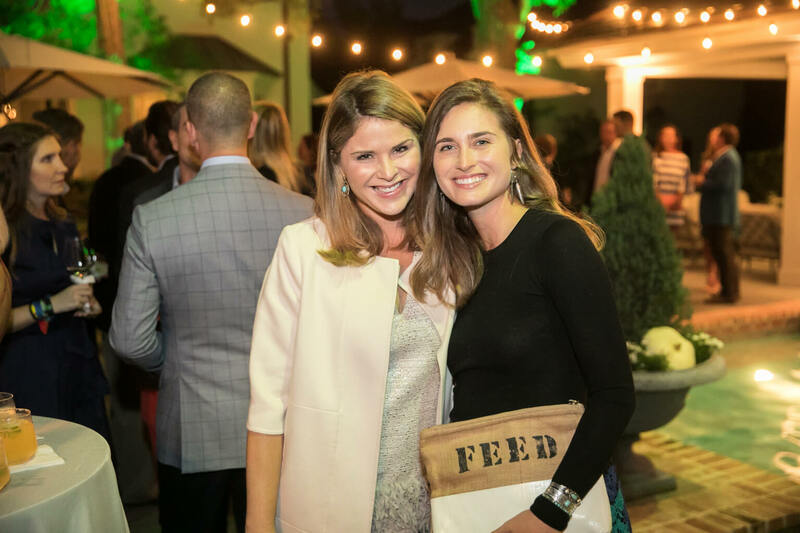 Every September, people from around the world are invited to host their own FEED Suppers where guests make donations to provide meals to those in need through Feeding America and the World Food Programme. 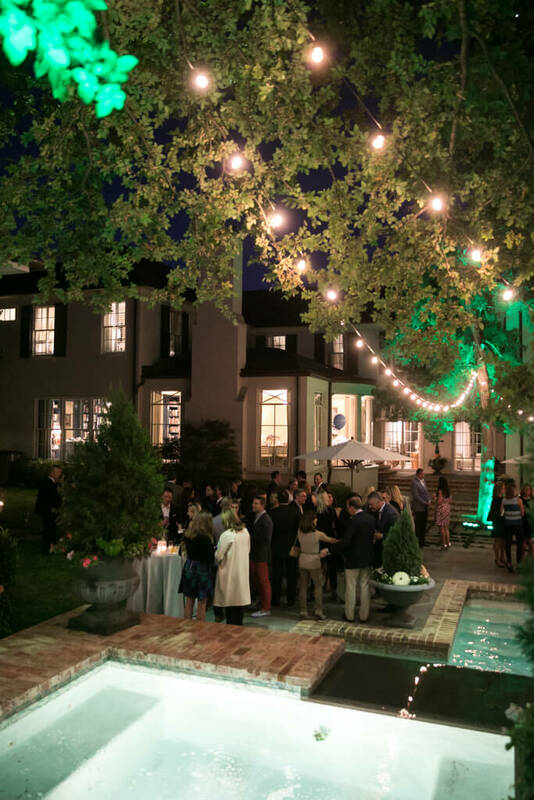 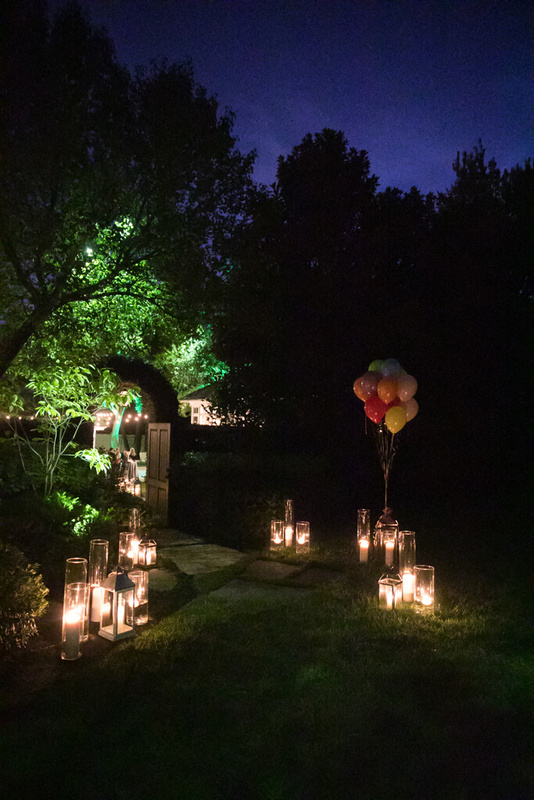 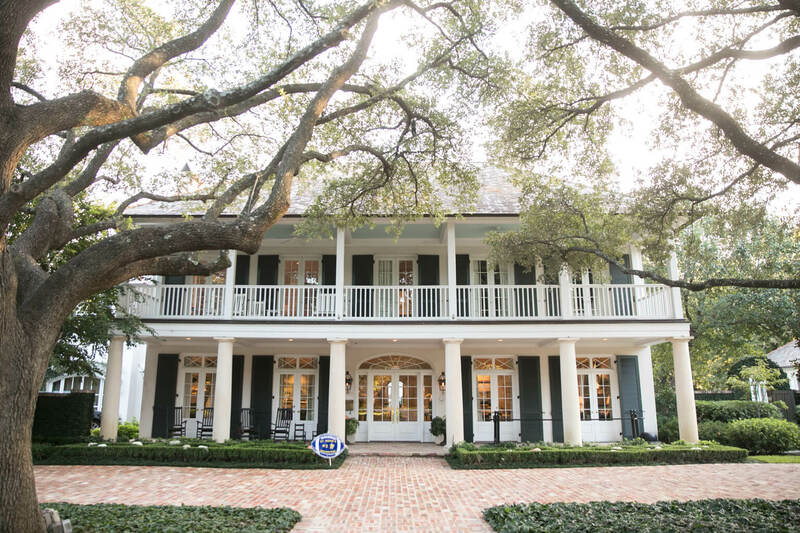 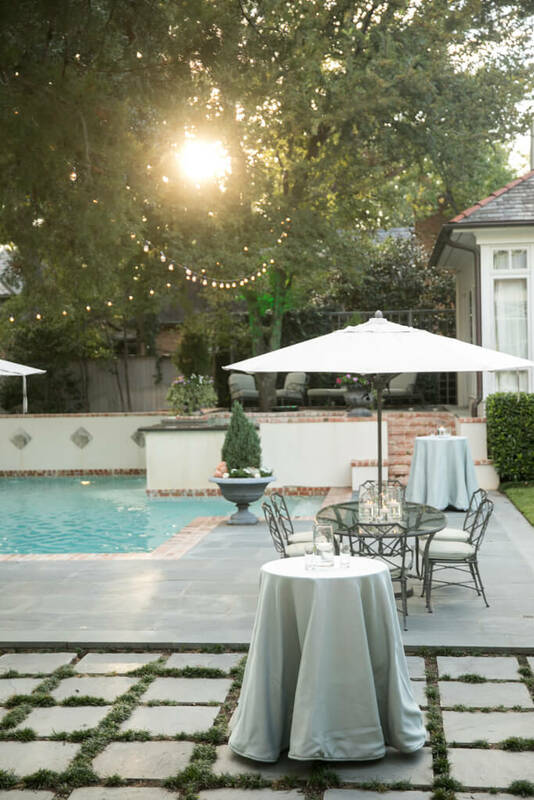 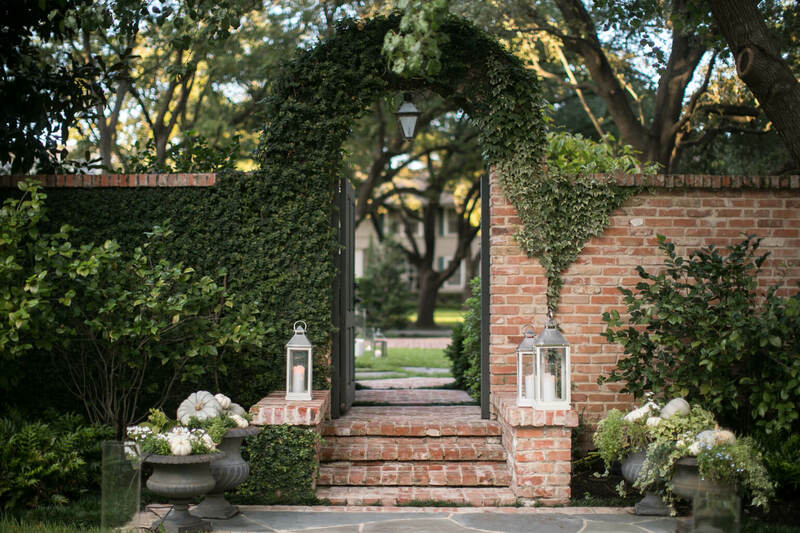 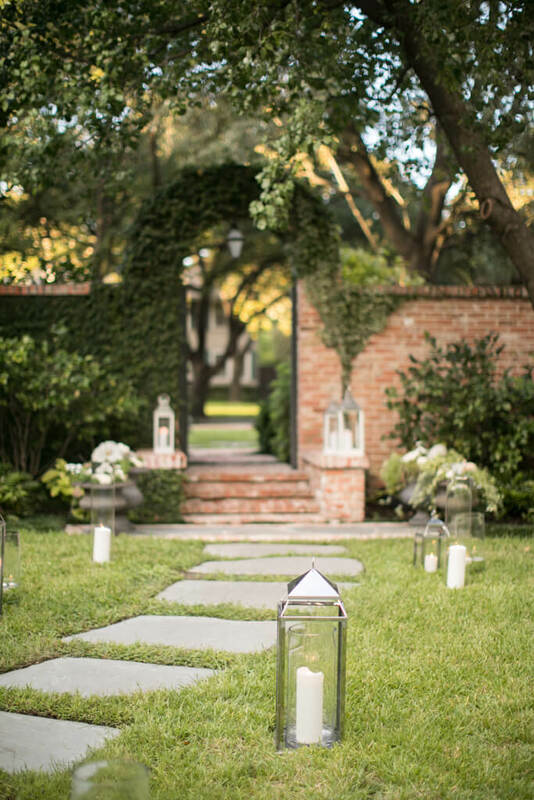 Attendees walked up the brick steps to enter the poolside courtyard of the picturesque estate, which was decorated with candles displayed in hurricane vases and balloons at the entrance to celebrate the giving community. 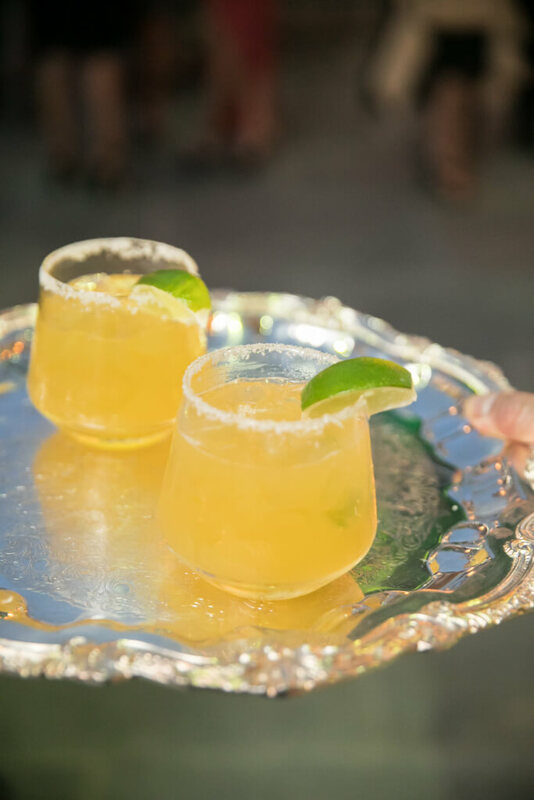 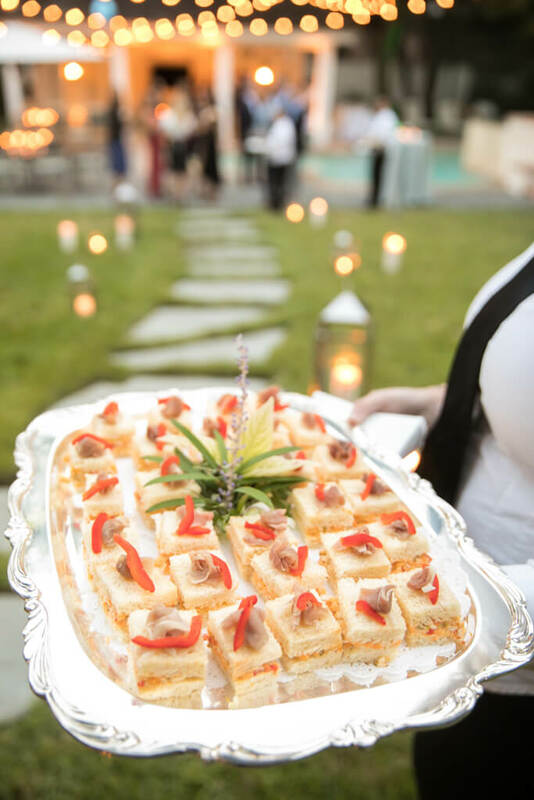 Tray-passed hors d’oeuvres and salt-rimmed margaritas welcomed guests as they mixed and mingled before making their way inside for the sit-down dinner service. 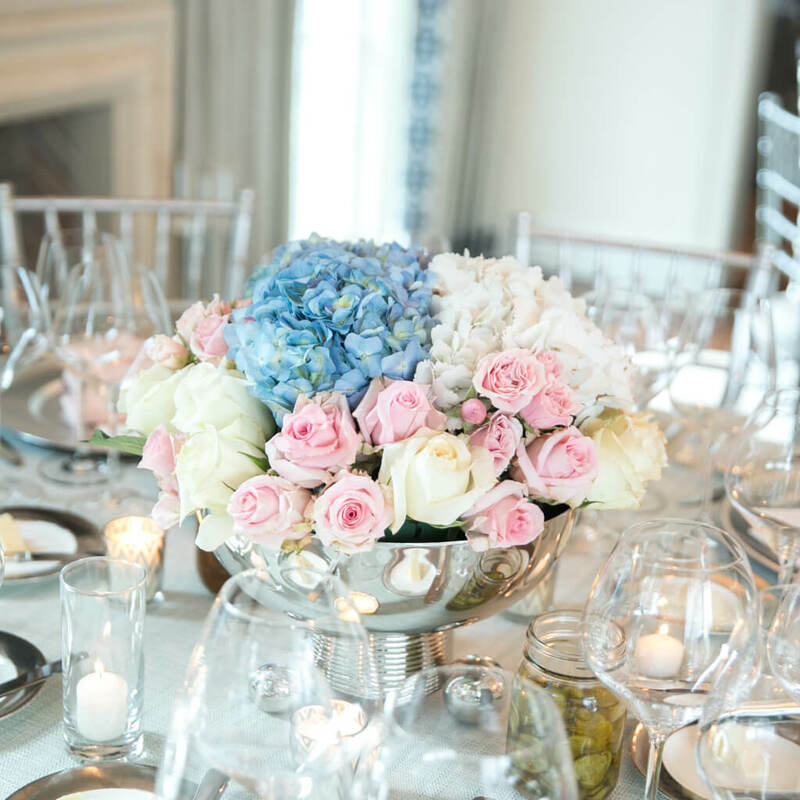 The living room was transformed into a setting fit for a dinner party by way of lovely tablescapes and stylish décor. 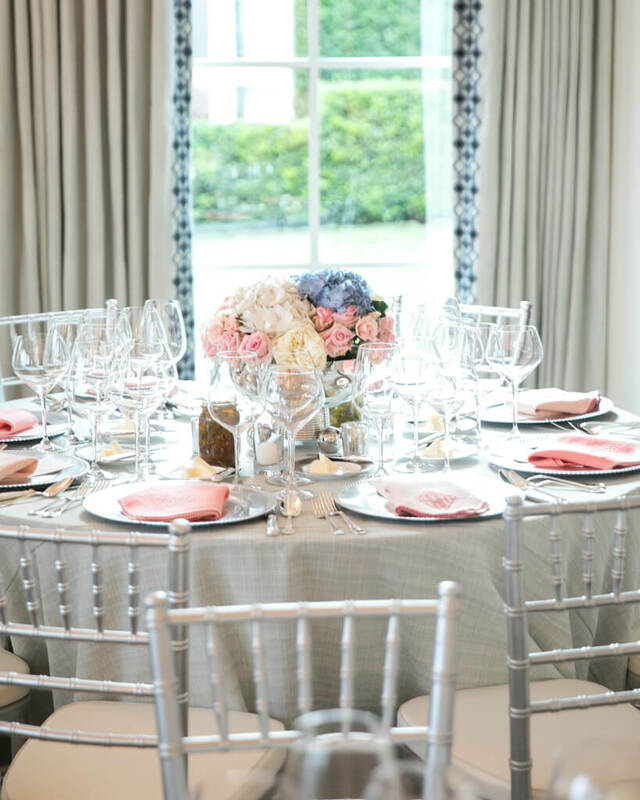 Guests found their seats at round tables surrounded by silver-backed chairs. 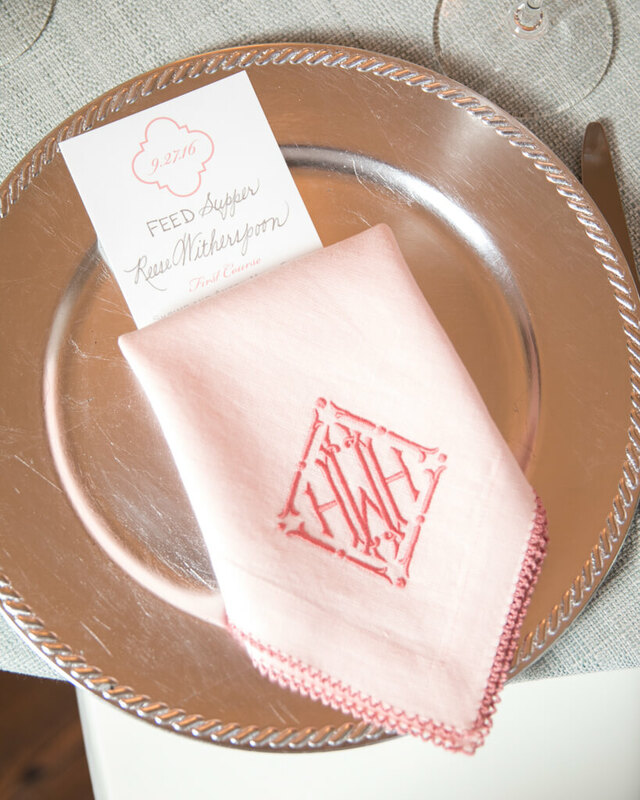 Each place setting was topped with a monogrammed pink hemstitch napkin, personalized menu cards, and centerpieces of silver vessels filled with baby pink roses and hydrangeas in shades of white and blue. 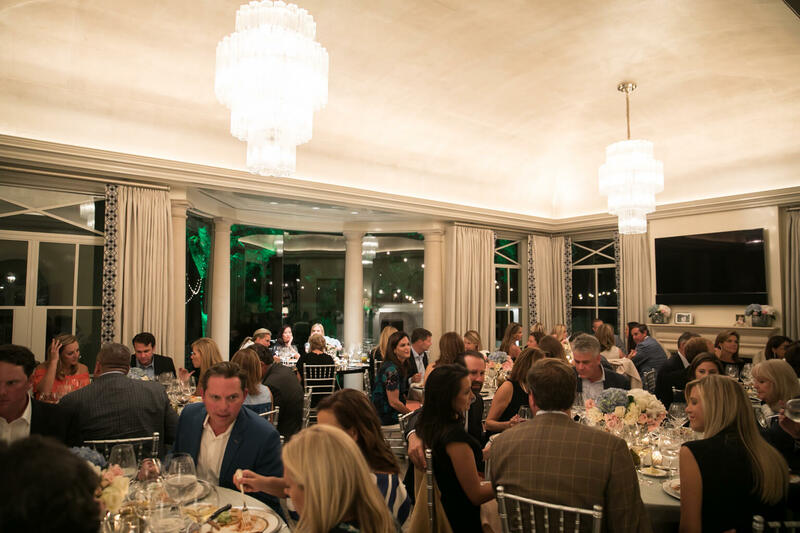 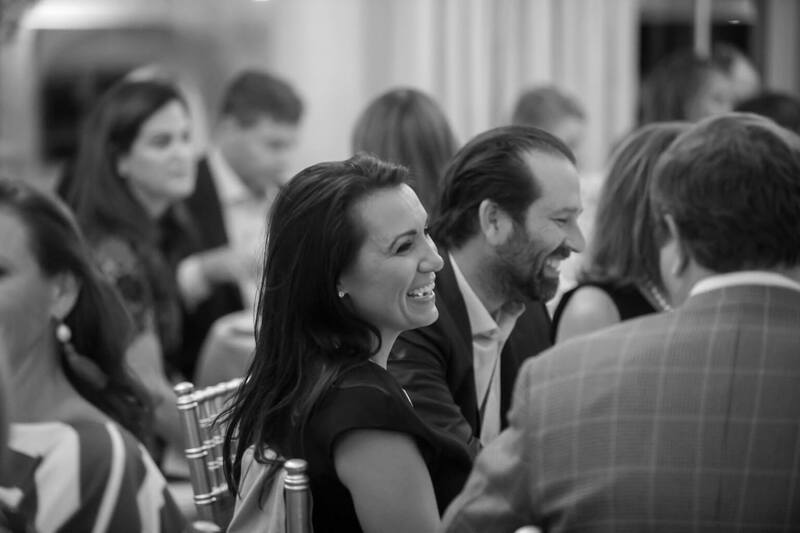 Dinner was served and libations flowed throughout the evening as guests enjoyed chatting, laughing, and toasting to raising money for those in need and fighting worldwide hunger. 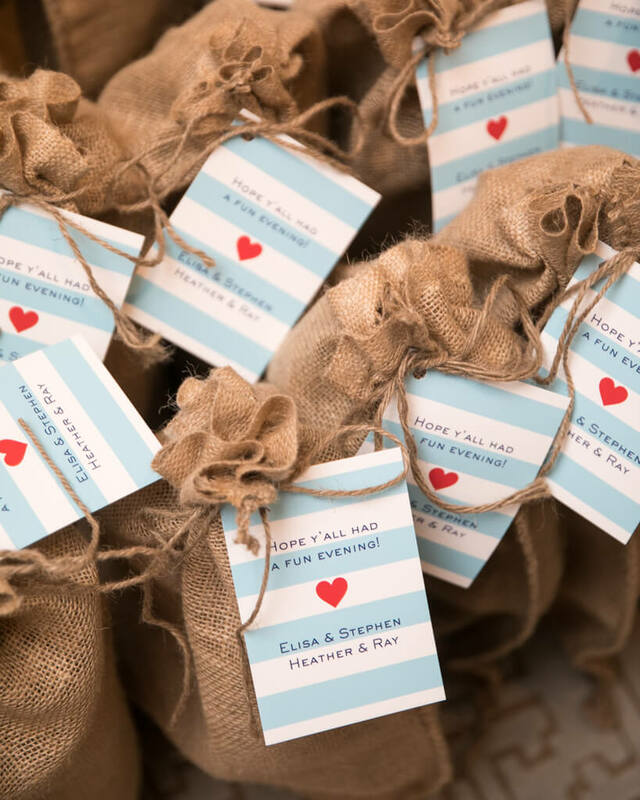 As an ode to the natural materials used in many FEED products, which provide meals and supplements to a number of causes, take-home favors were provided in burlap bags and decorated with tags reading, “Hope y’all had a fun evening!” to end the night in true Southern style.